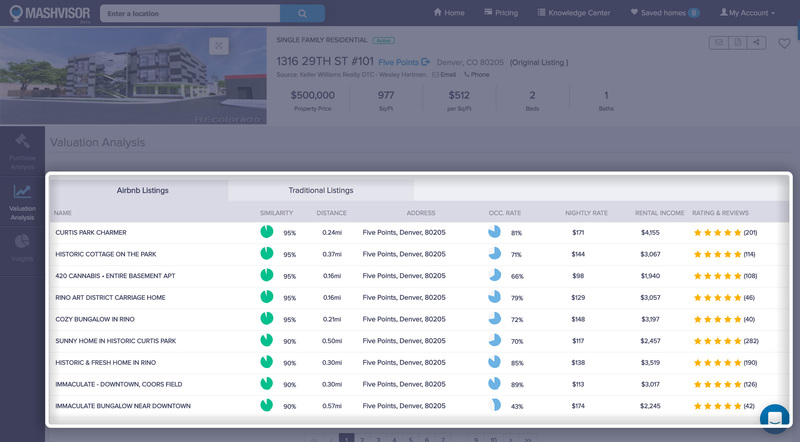 Use predictive real estate analytics to ﬁnd the best performing Airbnb rental properties in a matter of minutes. Lost between traditional and Airbnb rental properties? Mashvisor can tell you which strategy suits you best. Try Mashvisor for 14 days for free. No risks and your satisfaction is 100% guaranteed. 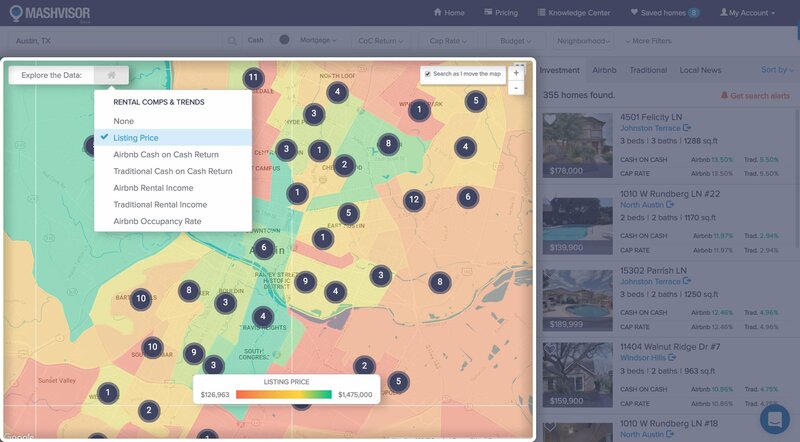 Determine the optimal strategy for a specific neighborhood. 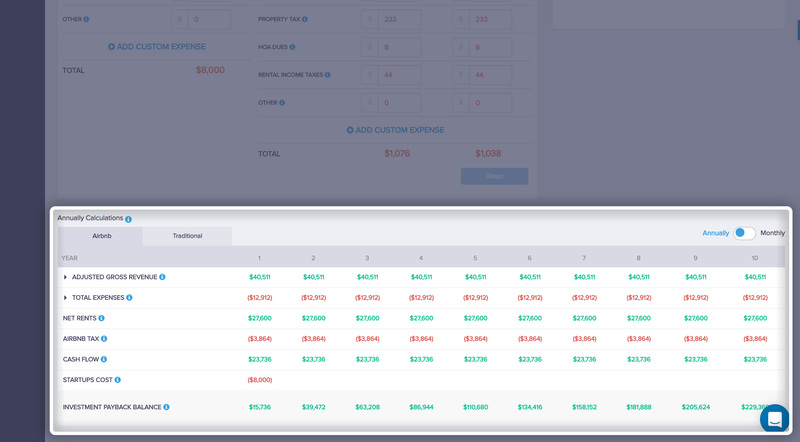 Calculate the expected returns based on your rental strategy. See the projected rental income based on the rental strategy. Gain access to all of the basic functions of the platform. Great choice for beginner investors. Gain access to a number of extra features, including the ability to export 5 reports/month. Excellent choice for professional investors and real estate agents. Gain access to all of our features, with the ability to export up to 25 reports/month. This is a good choice for brokerage firms and very active investors. 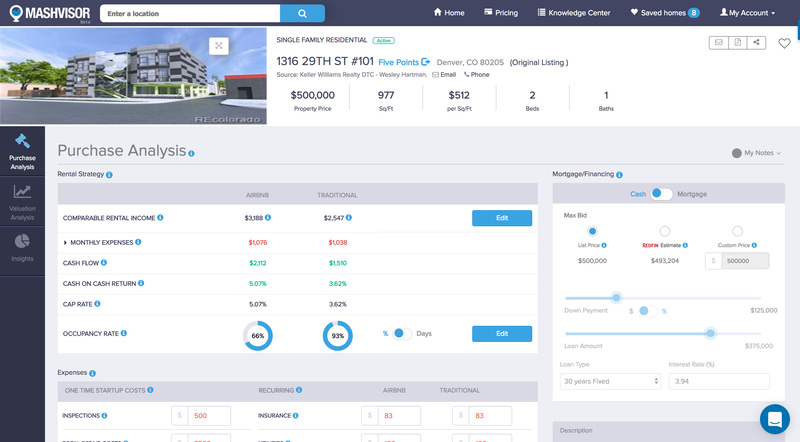 appear as users explore the different properties on the platform.